The White Rose Carbon Capture and Storage (CCS) Project is a proposal put forward by Alstom, Drax Power and BOC to build and operate a 448MW coalfired power station with functional CCS capabilities. As a Nationally Significant Infrastructure Project (NSIP) the scheme required a Development Consent Order (DCO) from the Secretary of State under the Planning Act 2008. 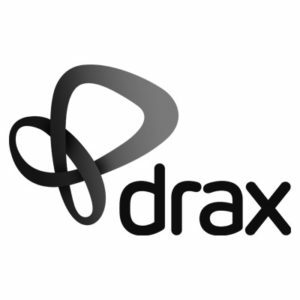 BECG has supported Drax for several years and was commissioned to develop and implement the DCO consultation. It was imperative that stakeholder engagement strategy conformed to the consultation requirements prescribed in the Planning Act 2008 and the Localism Act 2011. With the high level of untested technology involved, it was crucial that the consultation plan was supported by an advocacy programme, gaining endorsement from relevant stakeholders and major influencers such as renowned academics. A consultation strategy was devised which identified local stakeholders, their interests and their influencers. To utilise the good will Drax had developed locally by being a major employer, a meet-the-buyer event, community liaison groups and relations with the relevant Trades Unions were developed. Alongside this we developed all the mechanics and communications around the DCO key milestones, including the non-statutory consultation, SoCC, statutory consultation and the consultation report. The White Rose DCO application was accepted by the Planning Inspectorate in December 2014. The Planning Inspectorate judged that pre-application stakeholder engagement had met with Government guidelines and was of a satisfactory standard.